When the Progress M-27M/59P cargo vessel launched from Baikonur Cosmodrome atop a Soyuz 2-1a booster on Tuesday, April 28, at 3:09 a.m. EDT (1:09 ALMT, 07:09 GMT), it appeared that it would be another routine flight of the venerable craft. However, anyone who follows spaceflight knows that missions into the void above our world are anything but routine. The flight of the automated cargo vessel served to drive this point home. Upon reaching orbit, it became clear that things had gone very wrong. Video appeared later in the day showing the spacecraft tumbling out of control. This latest incident comes at a time when the Russian Federal Space Agency (Roscosmos) has encountered several setbacks. As noted on SpaceFlight Insider earlier this week, things within Roscosmos have not been going very well recently. Besides the loss of a Russian military rocket, delays to key efforts that the nation is trying to accomplish have either been scaled back or postponed. Hot on the heels of these events comes the failed flight of the Progress M-27M. These events serve to underscore that rhetoric issued by Russian representatives about the post-shuttle era being the “Soyuz Epoch ” and that the United States could use “trampolines ” to send astronauts to orbit is just that – rhetoric. The head of Roscosmos, Igor Komarov, announced today that the $51 million (2.6 billion rubles, if including the cost of the Soyuz booster) spacecraft was lost. This marks the second of the spacecraft to be lost in less than four years. These craft, along with others from the United States, Japan, and Europe, are used to keep the International Space Station (ISS) stocked with supplies as well as to bring new experiments up to the orbiting lab. When Roscosmos heads discussed the subject earlier today, they were a little abstract on the loss of the craft and cargo, mentioning instead that the craft was unable to accomplish its primary objective. “Because of this, the craft’s continued flight and its docking with the ISS is not possible,” Komarov said. 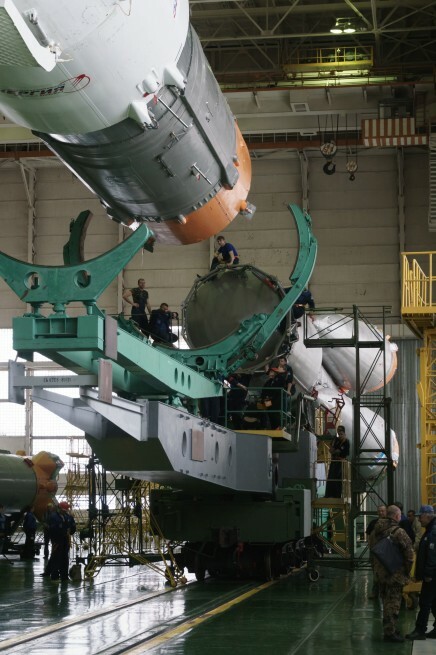 His comments were followed up with a statement by Roscosmos’ deputy head, Alexander Ivanov, who noted that the next two Progress launches have now been pushed back to the third and fourth quarter of this year. Russia’s current status marks a drastic change from the comments that the country has made about its space capabilities in the past few years. Just days after the Space Shuttle Atlantis’ wheels stopped for the final time, after the successful conclusion of mission STS-135, in 2011, Russian officials, rather than show support for their “partner” on the ISS program, the United States, crowed about how this new age was one belonging to Russian-produced Soyuz spacecraft. Shortly after making these statements, the Progress M-12M cargo vessel failed to reach orbit with its precious cargo slamming into the vast plains of Kazakhstan. 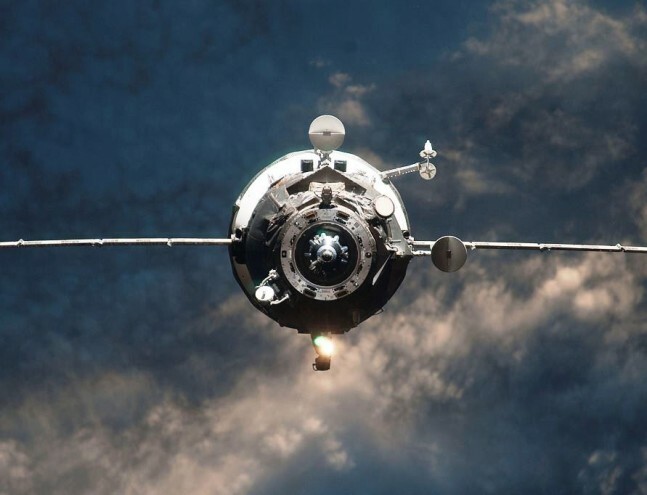 Aug. 24, 2011: Soyuz-U — Progress M-12M cargo resupply vessel, bound for the ISS, was lost approximately five-and-a-half minutes into the mission due to an issue with the turbo-pump. Dec. 23, 2011: Soyuz 2.1b/Fregat — Meridian 5 military communications satellite lost after rocket’s third stage failed approximately seven minutes into the flight. 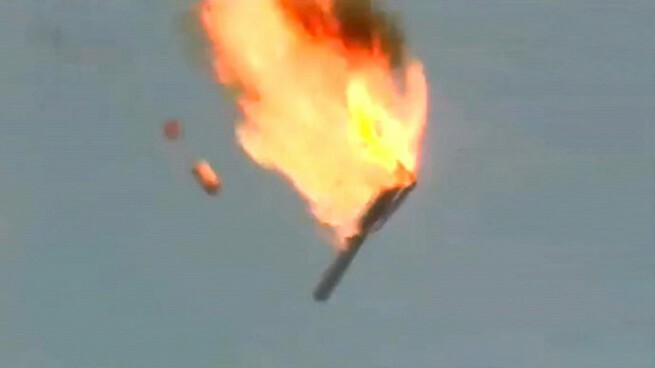 Aug. 6, 2012: Proton-M/Briz-M — Loss of Ekspress MD2 and Telcom 3 satellites after the Briz-M third stage failure after only firing a few seconds into its third planned burn. July 2, 2013: Proton-M/DM-03 — Loss of three Uragan-M navigation satellites due to the rocket’s first stage encountering a control failure, as the launch vehicle’s angular velocity sensors were installed backwards. May 15, 2014: Proton-M/Briz-M — A little more than nine minutes into the flight, the vernier engine located in the Proton’s third stage failed, likely due to a turbo-pump pipe leak. Apr. 28, 2015: Soyuz 2-1a — After being placed successfully into orbit by its Soyuz launch vehicle, the Progress M-27M spacecraft begins tumbling wildly out of control. Russian officials announce a day later that the spacecraft is not recoverable. The Expedition 43 crew currently on board the ISS are safe, but the supplies that were on board Progress are lost. This is not a concern at present as the station is normally stocked with more than enough supplies to sustain them until the next cargo vessel, a SpaceX Dragon on the CRS-7 mission, can be launched. That flight is currently scheduled to take place no earlier than June 19 of this year. According to NASA, when Russian flight controllers received no confirmation that Progress’ antennas had deployed after the craft had reached orbit, they reverted to a backup flight plan of two days (as opposed to six hours) this extended the flight from four to 34 orbits. This, however, was still not enough to correct the problems that the vessel had encountered. All attempts to get the craft under control were unsuccessful, with the flight team unable to confirm the status of Progress’ flight systems. 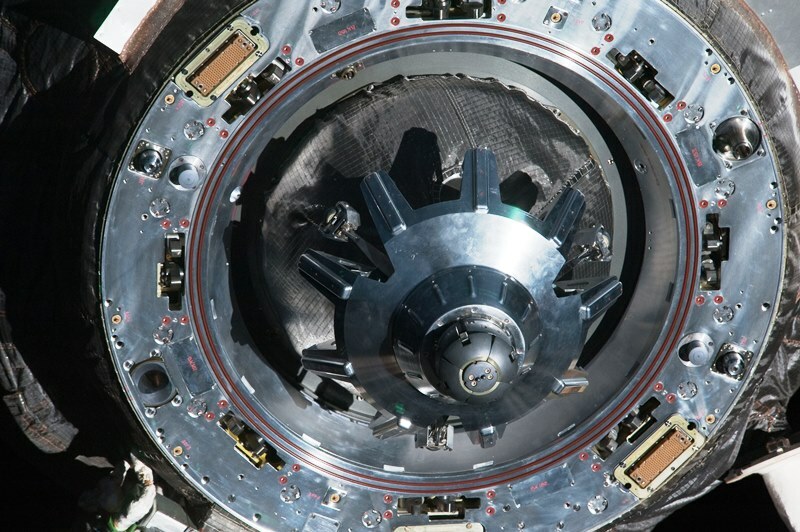 Although it appears that telemetry was recoverable from some systems, the controllers were unable to gain this critical information from all of the spacecraft’s systems. For their part, NASA astronauts displayed more grace than Russian officials have in the past. Kelly and Russian cosmonaut Mikhail Kornienko are conducting a one-year stint on board the ISS as part of an effort to gain more data about long duration stay in the microgravity environment. Luckily, nothing critical was on board Progress M-27M. The spacecraft was filled with more than three tons of food, fuel, and crew supplies. This included 1,940 pounds of fuel, 110 pounds of oxygen, 926 pounds of water, and 3,128 pounds of parts, experiments and other supplies. “We have other vehicles, SpaceX, HTV, and, hopefully, Orbital [ATK] soon that can resupply us, so we should be okay,” Kelly added. I might add the failure of fregat upper stage on Soyuz 2.1B on 24 august 2014 for the two ESA Galileo satellites. Even if launched from Kourou, France, the failure has since then been identified as a design flaw into Fregat. As we know this was not an absolute failure, the two sats orbits were corrected into somehow constellation-exploitable orbits. Anyway, I consider this a direct russian failure as the others. Also the russian spacecrafts are recently giving some concerns even when then function right. Remember the Soyouz with the half deployed solar panel? I’ll say again, this is another reason we (Americans) need to separate ourselves from the Russians. We need to put on the fast track, Commercial Crew and Commercial Cargo. Antares won’t be ready to fly out of Wallops until 2016. For some crazy reason, this administration seems to think it’s more important to keep the Russians employed rather than Americans. The only reason the Russians are in the game is they want our tax dollars. i understand the reasons for not using russian hardware, but using Russian hardware has never been about keeping Russians employed, particularly at the expense of americans. The Russians are going to sell them to somebody. i would prefer it be us rather than the N. Koreans, Syrians, Iranians or a host of other bad actors. Also, you tend not to go to war with countries that you trade with. This was the reason we started using the RD180 engine in the first place- the Soviet Union was falling apart and we didn’t want those engines going to the wrong people. Trade has and always will be a political tool. Arguably, the reasons for continuing to use russian hardware are still compelling. In a world governed by Murphy s laws failures are a part of life! The Soyuz does indeed have a good track record, but as more and more craft are sent into space, accidents and misjudgements will happen. We certainly have not seen the last of failures, nor deaths within manned spaceflight. Just take a look at the auto industry, where recalls have become a normal part of their operations! How many deaths have been attributed to new car problems! There is a movement to shift NASA funding back into spaceflight and away from earth sciences. This is a good move and actually supported with a Bi-partisan effort. A move we need to put on the fast track to put our people back to work and stop sending our tax dollars to Russia to keep them employed. Hopefully this accident will invigorate that effort. Tom, are you sure about that? Ferris, your attached article is not factual and another attempt of the liberal press to paint a scary picture. The “HILL” doesn’t have the greatest reputation of printing the truth without their slanted agenda and fear mongering. Tom – that’s not the “liberal press” saying that. That is the Ranking member of the science committee, Eddie Bernice Johnson. My point isn’t whether earth science needs “rebalancing” – for the purposes of this discussion, I am not interested in discussing that (I have my opinion, but thats not why I posted that link). My point is, its not “bi-partisan.” Listening to the markup that is going on right now, for the House Science, suggests that anyone who thinks the earth science discussion is bi-partisan isn’t paying attention. The Democratic members of House Science have spent the last 2 hours going after the Republican members of the House Science Committee, because of proposed cuts in the Appropriations bill to Earth science. political distractions that are extraneous to NASA’s mandate. The fact is; There is NO definitive proof of man made climate change, it’s all a unproven theory. Even some NASA scientist have stated this. I really don’t see much point in having a discussion about Man-made climate change in an article about the Russians having problems delivering cargo to the space station. I just wanted to correct the point that the transfer of earth science to “some other agency” was “bipartisan”. All democratic members were NOT originally opposed to such a proposal. some have flip flopped under pressure of the environmentalist. And all Republicans didn’t automatically reject man-made climate change, until they flip flopped under pressure from their constiutants. Democracy in action. Move on – build a bridge.